If there is one complaint that can be made about a bike is that it is very low on storage space. Now, naturally, you usually aren’t going to go cycling with everything except the kitchen sink, but there are times you need a few tools, or maybe a change of clothes. 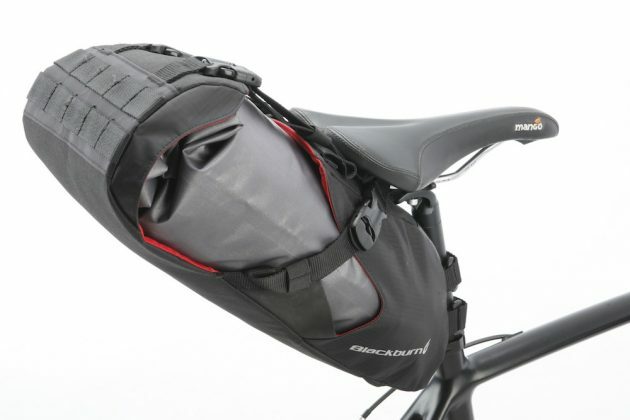 If you want extra storage, you have a few options – a pannier, backpack or saddle bag for the mountain bike seat post. 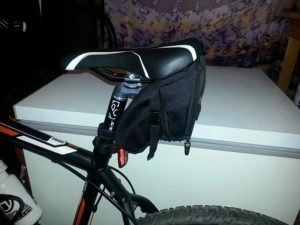 Now, if the idea of being able to tell everyone that you need to load your saddle bags before you mosey along is not appealing enough, the idea of saving a lot of space can be. Saddle bags fit in under your seat and have a limited amount of room. There’ll be plenty of space for some tools, or maybe a spare tube for longer trips. And, if that isn’t enough room for you, you could also try an option like the Blackburn that expands. The main problem with this type of MTB accessory is that there is an overwhelming number of them to choose from. 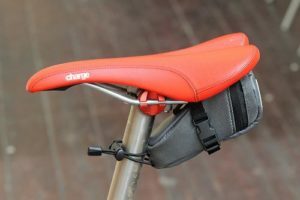 To help you out a little, we had a look at the number of models on offer and came up with the best saddle bags available today. Our choices were based on durability, features, and price. Ready to learn more about which options we picked? This model is an extremely popular one and with good reason. It is a high-quality product that has been expertly designed, and that is really affordable. You can choose a from a range of sizes – micro through to large – to get the best fit for your bike. So, you could get yourself and your kids matching bags that stand up quite well without breaking the bank. This option is not waterproof, so if you love getting muddy, this probably won’t be the best option. In dry conditions, though, this could be perfect. From a safety aspect, we like this a lot – It has a 3M reflective strip and a place for you to attach your rear light. Both of which are invaluable when riding in low-light conditions. If you like commuting with your bike, this is probably a brand that you already know. It is a brand that is popular globally for producing top-notch, useful bike accessories. These come in a range of sizes as well. You won’t fit a lot into the smaller size but its perfect for your keys and your wallet. The medium size is ideal for those enduro races where it is handy to keep an extra tube or some tools to work with. Good looks are not the only thing that makes these a great choice – they are made for ballistic nylon with tough stitching for maximum durability. The high-quality zipper ensures that everything placed in this bag stays put. It attaches by means of a strap but also has a bungee cord to ensure that it can be properly fastened into position. If we could ask Timbuk2 to make one adjustment, it would be to adding a waterproof lining. The bag is water resistant, but that’s not quite good on a particularly muddy track, or when its raining. Sometimes all you need to is somewhere to store your car keys and wallet. Sometimes you need to be able to pack a bit more in. You might want to be able to take along extra gear. You have two options, add another rack, or get this saddle bag. This is a great option if you are planning an overnight ride because it expands to fit more items in it. Another thing that we really liked is that it comes with a dry bag that is separate, so you can keep everything dry. The stitching has been well done, and the whole bag has been sturdily made. Fair warning, though. The more you add to the bag, the more your center of gravity is going to shift. So, do practice with a full pack a little before heading out on a more challenging ride. Also, if you have carbon seat posts, this is not an option you want to consider. If you want an option that is waterproof without the fuss of having to use a separate dry bag, this is what you are looking for. Ortlieb has a sterling reputation and ensures that its bags are durable and completely waterproof. These bags take a beating and a lot of mud-slinging. They’re easy to clean – just hose them down after your ride and then pat them down and you are good to go. The company backs their product up with a five-year warranty. They use high-quality fabrics and tough stitching to ensure that this model won’t fall apart any time soon. In terms of safety, there is reflective fabric sewn into the bag. You can also increase your visibility during the day by choosing a bright color. The bags come in a range of sizes. Note, cannot be used if you use a dropper post! 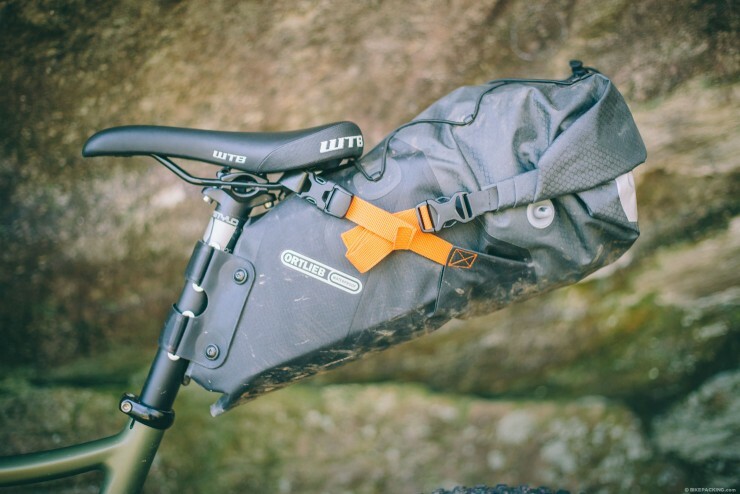 Well, there you have it, our quick round-up of the best saddle bags. Which are our favorite favorites? The number one spot was a toss up between the Blackburn and the Ortlieb. We felt that keeping our items waterproof gave these two models the edge. Which one is better depends on what you need. The Blackburn offers more versatility in terms of size, but not everyone needs extra space. In the end, the Ortlieb won by a hair. And that simply because it is completely waterproof without the need to use a dry bag. If waterproofing is not an issue for you, the Timbuk2 comes out on top in terms of affordability and the stability of the bag once attached.